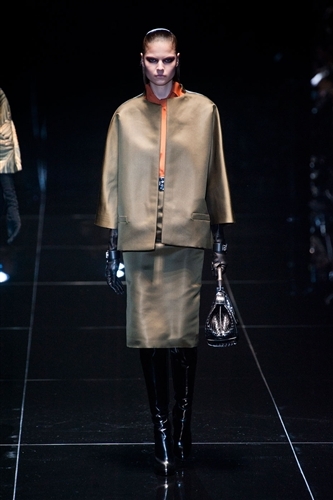 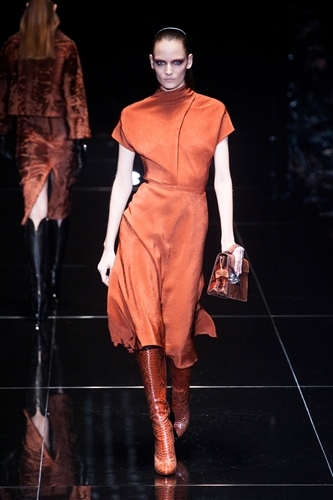 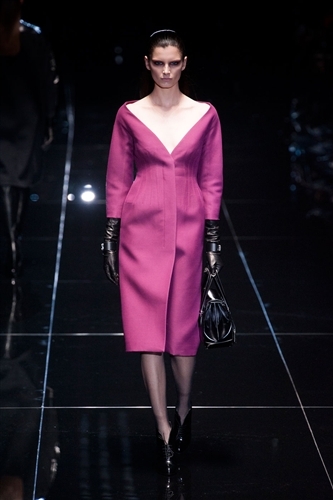 Gucci’s latest collection well and truly set the standard for the rest of Milan Fashion Week. 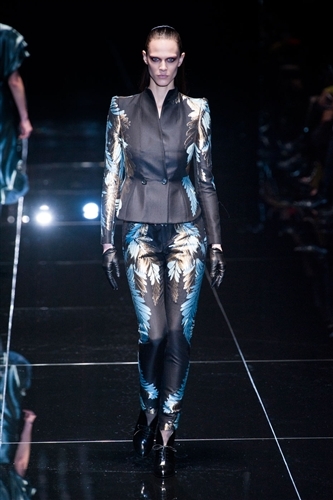 Frida Giannini took the reigns of fashion heavyweight Gucci in 2005 and her creative direction has taken the label from strength to strength ever since. 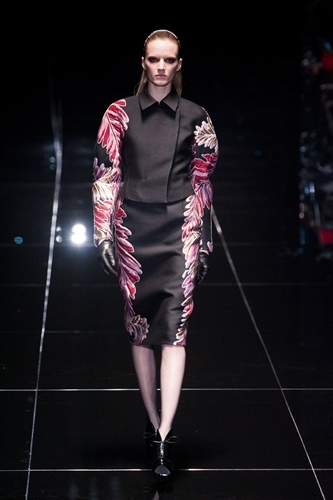 This season Frida brought couture finesse to ready-to-wear with a slick and severe collection. 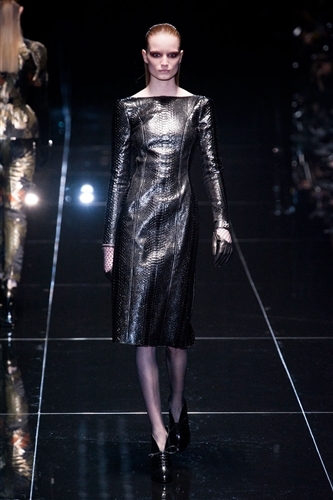 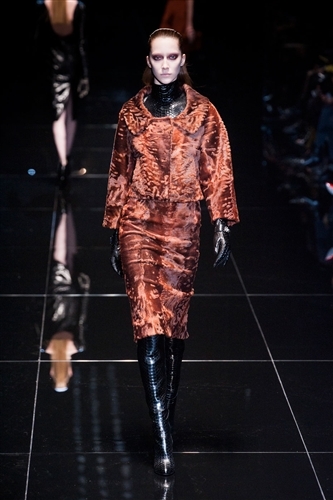 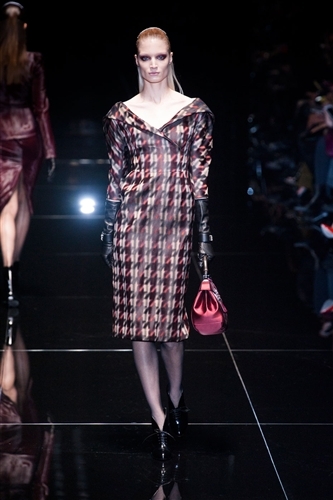 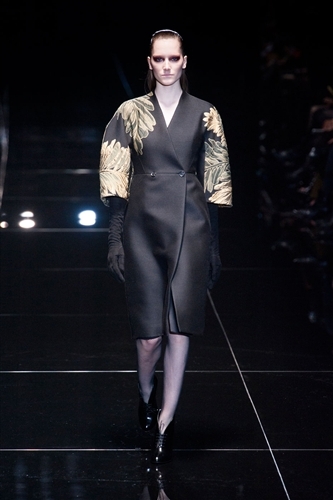 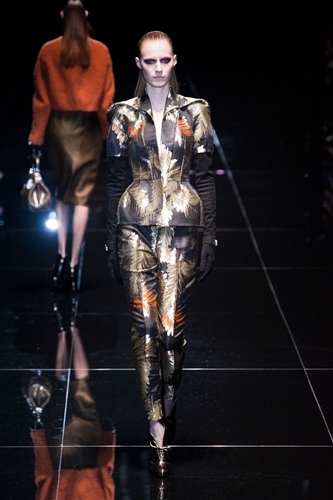 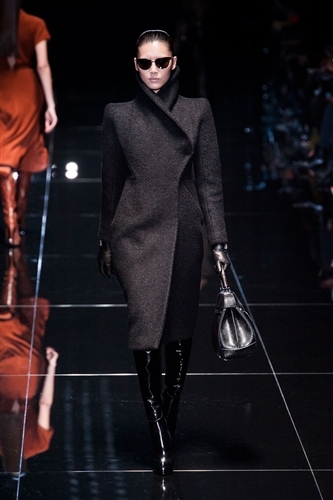 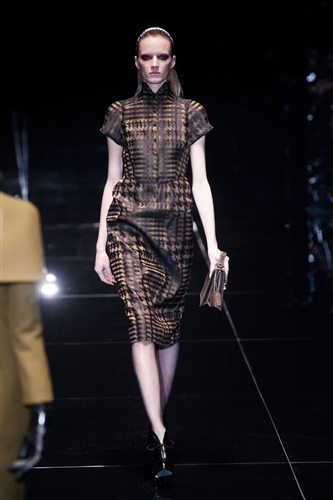 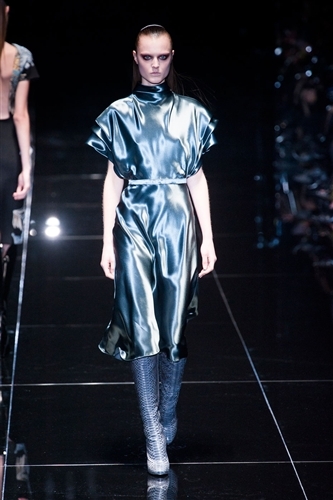 The sharp lines reminiscent of couture were mixed with rich colours, metallic’s, leather and brocade. 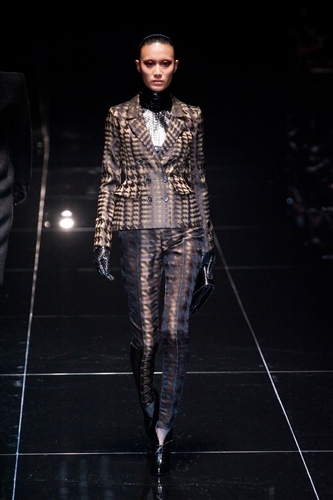 There was a distinct nod to the 40s with the precise and prim tailoring, but the mass of textures and prints painted the garments modern. 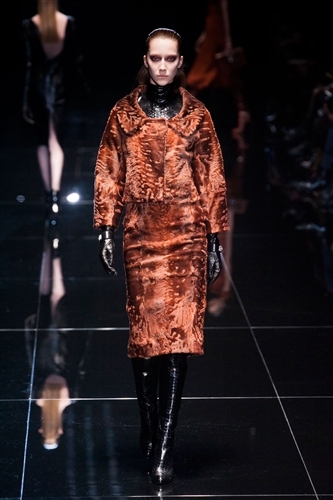 The collection danced between body-con leather, button-less shirts and psychedelic patterning, it was ideal wear for a fashion minded woman in the mood to indulge her dark side.